Marty Brennaman is a sportscaster who has been the radio voice of Major League Baseball’s Cincinnati Reds on the Cincinnati Reds Radio Network since 1974. Known as the “Voice of the Reds” Brennaman ia a 12-time recipient of the “Ohio Sportscaster of the Year” award. 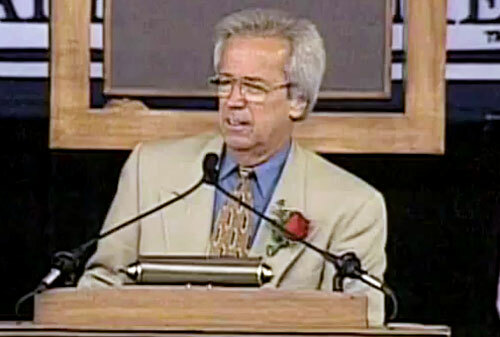 In 2000, Marty Brennaman won the Ford C. Frick Award, presented annually by the National Baseball Hall of Fame to a broadcaster “for major contributions to the game of baseball”. Sports Speakers 360 is a booking agent for pro athletes. If you would like to book Marty Brennaman for a speaking engagement, appearance or endorsement, contact a Marty Brennaman booking agent for fees at 1.855.303.5450.